An inquest into the death of a schoolgirl who died after falling from a theme park water ride has been adjourned for a further nine months. Evha Jannath, 11, from Leicester, was on a school trip when she fell from the Splash Canyon ride at Drayton Manor Theme Park on 9 May 2017. At a pre-inquest hearing earlier, a full inquest was set for November. 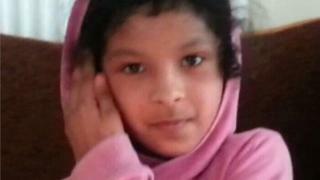 Family spokesman and Leicester MP Keith Vaz said Evha’s family was anxious to know the facts surrounding her death. Evha suffered fatal chest injuries after falling from the ride at the theme park near Tamworth, Staffordshire, police have previously said. Speaking after the hearing in Cannock, Mr Vaz said: “It’s been very frustrating for the family. “Their anguish is something that I have witnessed over the last two years. “What they need to know is the facts of what happened at the ride. The inquest is expected to take place on 4 November for a week. South Staffordshire senior assistant coroner Margaret Jones said it is likely to be heard before a jury. The hearing was told the ride remains closed after the death.